I’ve been writing about startups for a couple of years now, but I just had my first glimpse at the true soul of entrepreneurship. A once-in-a-lifetime epiphany? Nope, it happens every Tuesday at 1871. I’m talking about Open Gov Hack Night. Open Gov Hack Night brings volunteer developers and other interested parties together to build apps with free data from the City of Chicago. These guys and gals create value and commercial potential out of stuff that’s virtually worthless in its original form, like gasoline from crude oil. And that’s as good a definition of pure entrepreneurship as I know. Shortly after taking office in 2011, Mayor Rahm Emanuel’s administration began opening the city’s data to the public. This was a big deal. In a city accustomed to shadowy power brokers and backroom deals, citizens could now go online and find all the dirt on City Hall lobbyists—who they worked for, who they lobbied, and how much money they spread around. They could also find info about pothole repairs, snowplow routes, zoning requests—just about anything that didn’t reveal personal information. Problem was, it was all in datasets and spreadsheets. Who wanted to wade through all that? Chicago Lobbyists let the sun shine on Chicago’s influence peddling. Clear Streets showed which streets had been plowed—in real time—after a snowstorm. Was My Car Towed? answered the first question any Chicagoan asks when a car goes missing. The city’s food inspections list. On the night I attended, a young guy named Wilberto Morales—an intern at Hoy, the Chicago Tribune’s Spanish language paper—demoed a free app called Chicago Food Inspections that tells you when any Chicago restaurant was last inspected. Did it pass or fail? How bad were the violations? Rats, roaches or just a burned-out bulb? The Chicago Food Inspections app. Morales gave a great pitch, informative and funny. The 30-odd hackers in the room were impressed with his solutions to knotty data management challenges, and his boss at Hoy raved about the app’s speed. 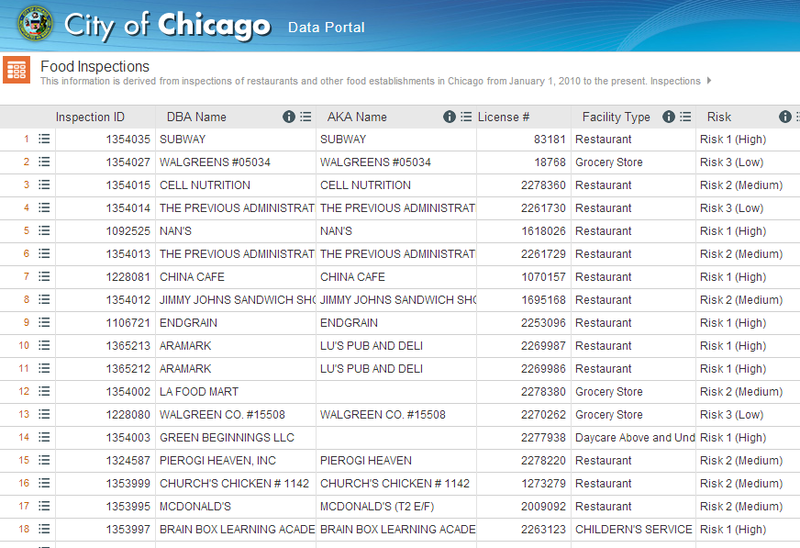 Chicago Food Inspections isn’t going to make anyone a millionaire. But it will add value for Hoy subscribers—a small example of how hackers are creating micro-gasoline out of the city’s barrels of crude data. 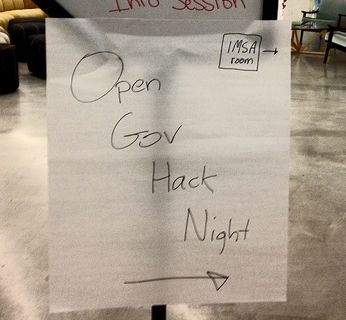 Derek Eder, a founder of Open City and co-developer of many of its apps, calls Open Gov Hack Night “a prototype lab. The most successful ideas get better refined and more robust. There’s huge untapped potential.” His consulting firm DataMade aims to capitalize on that potential, customizing versions of Open City apps for other organizations. So far their clients include DePaul University, WBEZ and the School of the Art Institute of Chicago. They’ve barely skimmed the surface. Think about all the questions a mobile Chicagoan might have at any given moment. (Just off the top of my head: Where’s the nearest public bathroom? What time do the express lanes switch directions? Which beach has the least contaminated water?) Figure half of them can be answered by city data. 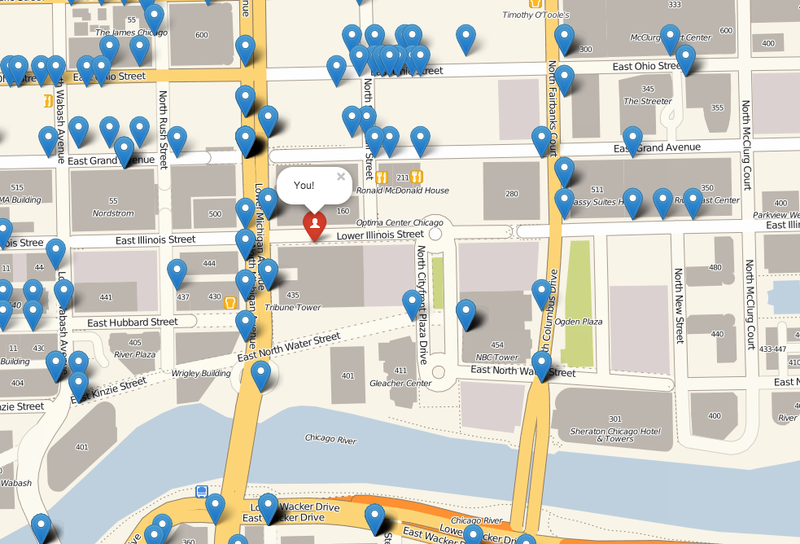 Multiply by two million Chicagoans with smart phones, and what do you get? Demand. And where there’s demand, someone creates supply—and figures out how to monetize it. The raw material is free. The source code is free. The hackers love what they do. Hey tech entrepreneurs! If you can’t build successful startups here, you just ain’t trying.